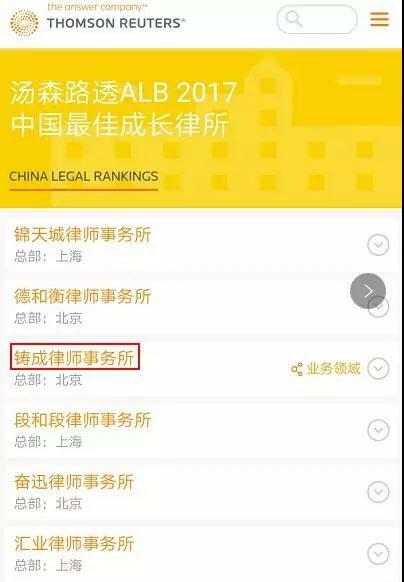 Asian Legal Business (ALB), a famous legal medium affiliated to Thomson Reuters, published the list of 2017 China’s fastest growing firms on September 20, 2017, and Chang Tsi & Partners was awarded this honor. As a medium of interest in the Chinese legal profession, ALB also gave commendation to leading female lawyers in the legal industry of China for the past year. 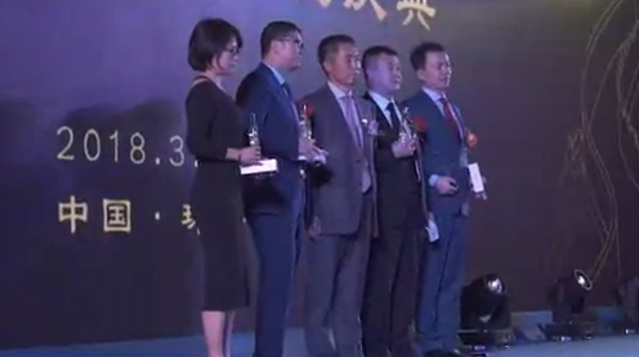 Spring Chang, a founding partner of Chang Tsi & Partners was awarded. The magazine launched the 2017 China’s fastest growing firm selection activity this June. Its research team made statistics to data regarding the growth of law firms for the past year, and elected top law firms according to relevant expansion indices such as the increase in the number of staff in charge of collecting fees, newly added core partners and important clients, newly added offices as well as turnover growth volume. As a comprehensive law firm with IP as its core service, Chang Tsi & Partners continuously refines its service fields, striving for providing comprehensive and in-depth legal services for clients. Since the founding of Shanghai Branch, Guangzhou Branch, and the U.S. Branch, Chang Tsi & Partners further newly set up Shenzhen Branch and Hong Kong Branch in 2016. The newly added services include providing IP due diligence for VC projects of VC companies; issuing IP research reports and IP strategic planning for the corporate top tiers of super-large listed companies such as China TravelSky Holding Company; and providing specific services such as IP appreciation and IP commercialized operation for a host of companies. As everyone knows, the lists of ALB top female lawyers over the years are quite influential in the industry. A number of excellent female lawyers are on the lists, showing the female image and strength in the legal sector to the industry. Persisting on unchanged practice philosophies, those excellent female lawyers provide high-quality and comprehensive services to clients with their toughness, patience, rigor and wisdom. As a founding partner and the head of IP services in Chang Tsi & Partners, Spring Chang is leading Chang Tsi & Partners to grow into a stronger law firm which serves as a banner in the IP field and provides comprehensive legal services. 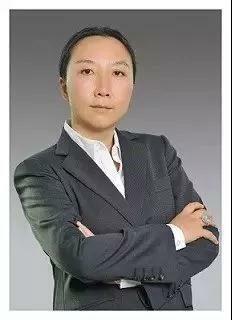 Spring Chang, during her 20-plus years of practice experience, wins widespread praises from clients at both home and abroad by virtue of her creativity and high efficiency, and becomes a preferred legal counsel gaining the trust from the Fortune 500 clients. Spring Chang says, she is quite delighted that she and Chang Tsi & Partners have gained ALB’s approval and affirmation. Adhering to the philosophy of clients’ needs first, Chang Tsi & Partners will practice social responsibilities as a business entity while further realizing the stable growth of core services.